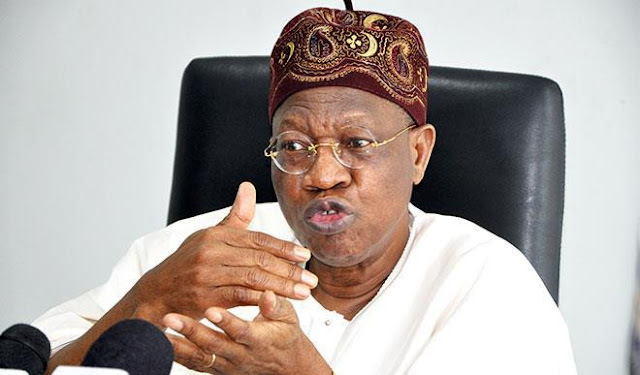 Hours after a United Nations report presented to the UN Security Council revealed Nigeria paid ransom to free scores of female students kidnapped in Dapchi, Yobe State, Nigeria’s Information Minister, Lai Mohammed, has insisted no ransom was paid. However, a report submitted to the UN Security Council showed that a “large ransom” was paid to free the girls. The UN report described as the 22nd Report of the Analytical Support and Sanctions Monitoring Team related to Resolution 2368 (2017) regarding Islamic State in Iraq and the Levant – ISIL – (Da’esh), Al-Qaida and associated individuals and entities. Excerpts of the report were published by the News Agency of Nigeria, which stated that the report was signed by Edmund Fitton-Brown, Coordinator, Analytical Support and Sanctions Monitoring Team, who said the report was “comprehensive and independent”, and Kairat Umarov, Chair, Security Council Committee. ”It is not enough to say that Nigeria paid a ransom, little or huge. There must be a conclusive evidence to support such claim. Without that, the claim remains what it is: a mere conjecture,” the minister was quoted as saying in a statement sent to PREMIUM TIMES by his spokesperson, Segun Adeyemi. The UN Security Council and indeed the UN does not have the culture of engaging Member States like Nigeria in a public debate and is not expected to reply Mr Mohammed’s claim. Although the government hardly admits it pays ransom to terrorists to free kidnapped civilians, public officials including those of the ruling All Progressives Congress have in the past admitted such ransoms are paid. In its report, the UN also identified that such ransoms help fund terror groups like Boko Haram. “The predominance in the region of the cash economy, without controls, is conducive to terrorist groups funded by extortion, charitable donations, smuggling, remittances and kidnapping,” the report stated. The Boko Haram activities in Northern Nigeria have caused about 100,000 deaths, according to the Borno State Government. The efforts of Nigerian security forces have in the past three years limited the terrorists to three North-eastern states of Adamawa, Borno and Yobe. The group is, however, still able to carry out attacks on civilians and military formations in those states.